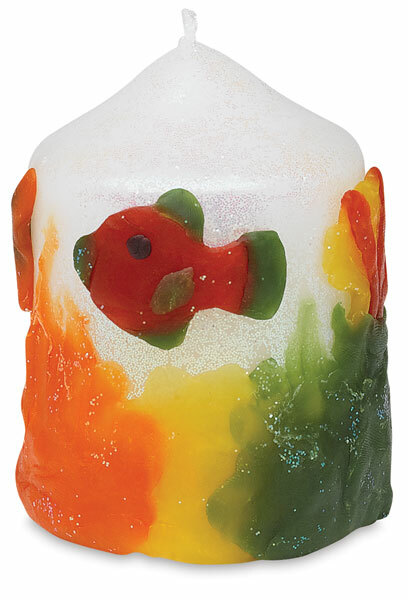 Use this soft, sticky wax to turn a simple candle into a work of art! Shape it by hand or use clay cutters and tools to create a design, then gently apply it to the candle surface. The reusable, non-drying wax will stick to, and melt along with, the candle. The 6-color assortment includes Red, Yellow, Blue, Green, Orange, and Purple. The colors can be mixed together to create even more colors. 5.5 oz package. ™ Stone by Stone is a trademark.